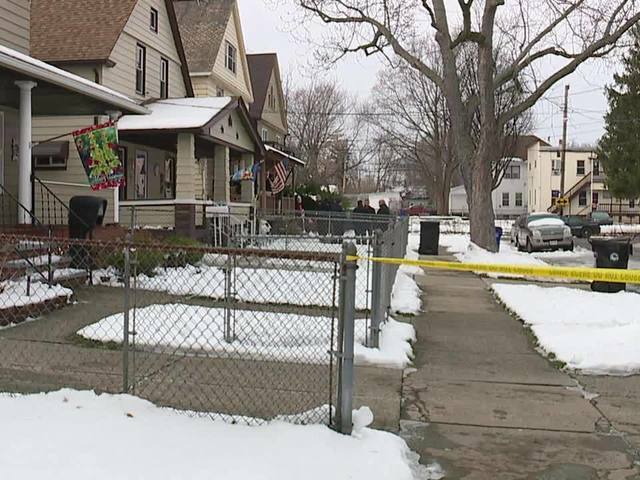 The 2-year-old son of a Cleveland police officer shot and killed himself with his dad's service weapon on Friday, according to investigators. Cleveland Division of Police spokeswoman Jennifer Ciaccia did not name the officer but said he is a 23-year veteran of the department and is 54 years old. Officers were called to a home on Library Avenue for reports that a child had been shot on Friday, Ciaccia said in a news release. The child was taken to Cleveland's MetroHealth hospital for surgery, where he later died. Preliminary information indicates that the child obtained the weapon and shot himself. Detectives are investigating the shooting.